Donald Eugene Smith died on February 11, 2019, at the age of 88 at his home in Garrett, Indiana, surrounded by his family. Don was born in Henry County, Indiana, to Howard and Helen Smith. Both parents died when he was young, and he was raised in a farming family by his grandparents, John and Bertha Smith. He was president and valedictorian of his Knightstown, Indiana, high school graduating class, and he went on to get his bachelor's degree from Wabash College, where he was a member of the Phi Kappa Psi fraternity. Don considered his time at Wabash to be the turning point of his life. While at Wabash, during the Korean War, Don served in the U.S. Army Active Reserves as a part of a counter-intelligence unit commanded by his German language professor. After his honorable discharge from the Army in 1953 and graduation from Wabash in 1954, Don enlisted for two years in the U.S. Air Force and received training as a pilot and in military finance. He loved flying and later put his pilot's training to good use as a recreational and private pilot as well as a flight instructor for many years. He was a member of the Quiet Birdmen and an active pilot until the age of 70. Don met Gretel Heinzerling while he was attending Wabash College and she was attending DePauw University. They married in 1954. After Don completed his military service, he and Gretel settled in Garrett in 1956 to raise their family. Don joined the Garrett Clipper newspaper staff and worked there seven years as advertising manager, sports writer, and feature writer. He then accepted a sales engineering position with Electric Motors and Specialties Corporation in Garrett, and during his 32 years there, he served consecutively as Sales Manager, Director of Marketing, Corporate First Vice President, and Director of the corporation before retiring in 1996. Don was a charter member of the Garrett Jaycees and a member of the Garrett Chamber of Commerce and Lions Club. He served on the Garrett-Keyser-Butler school board. 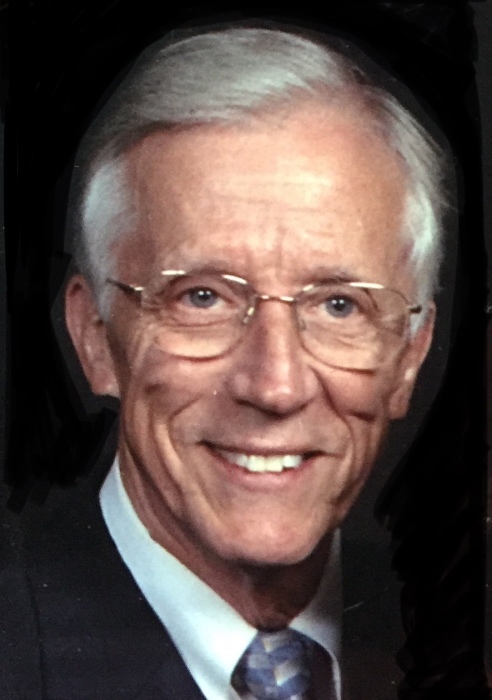 He was a longtime member of the DeKalb County Board of Aviation Commissioners and served a term as president. In later years he was a consultant to the Aviation Commissioners. He also served as a Director of Garrett State Bank, Director and Secretary of the Garrett State Bank Holding Corporation, and Director and Vice President of Clark-Morrill Foundation. Don was an avid tennis player and participated in team tennis and championships as a member of the Wildwood Racquet Club in Fort Wayne. He played tennis and exercised to maintain his fitness into his 80s. He was a board member of the midwest area Wheelchair Sports Federation and also volunteered his time to give tennis lessons to youth and adults as a member of the Greater Garrett Community Tennis Association. Don will be remembered as a great storyteller with a charming personality, quick wit, and wonderful sense of humor. He loved to tell jokes and make us all laugh. With his wife, he enjoyed over 30 years as a member of the Lamplighters ballroom dance club in Fort Wayne. Don was preceded in death by his parents and grandparents, two younger brothers, W. Robert Smith and John W. Hougland, and first cousin, Charles F. Thompson, who was like a brother to him. He is survived by his wife Gretel, his children, Adrienne (David), Howard (Colleen), Sarah (Pat), and Emily (Nehad), and numerous grandchildren and great-grandchildren. Graveside services will take place at 2 p.m. Wednesday, February 13, 2019 at Christian Union Cemetery. A memorial celebration will be announced and held at a later date. In lieu of flowers, memorial gifts may be made to Wabash College, the Garrett United Methodist Church Maintenance Fund, and the American Parkinson Disease Association. Arrangements by Thomas Funeral Home of Garrett.